Although he played in the top-four last season, the San Jose Sharks’ projected fifth defenseman is none other than Brenden Dillon. 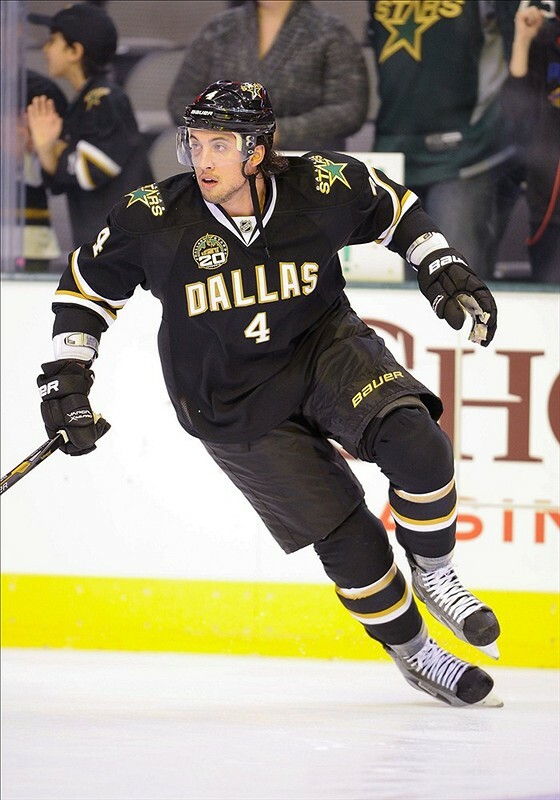 Dillon began his previous campaign as part of the Dallas Stars, but was traded to the Sharks in exchange for Jason Demers a quarter of the way into the year. Unfortunately, he struggled with both teams. Poor luck, bad partners and critical mistakes caused the 24-year old to have an underwhelming year that will hopefully never repeat itself. With his coming role change with the team, there is a decent chance that he will improve on last season’s marks dramatically. 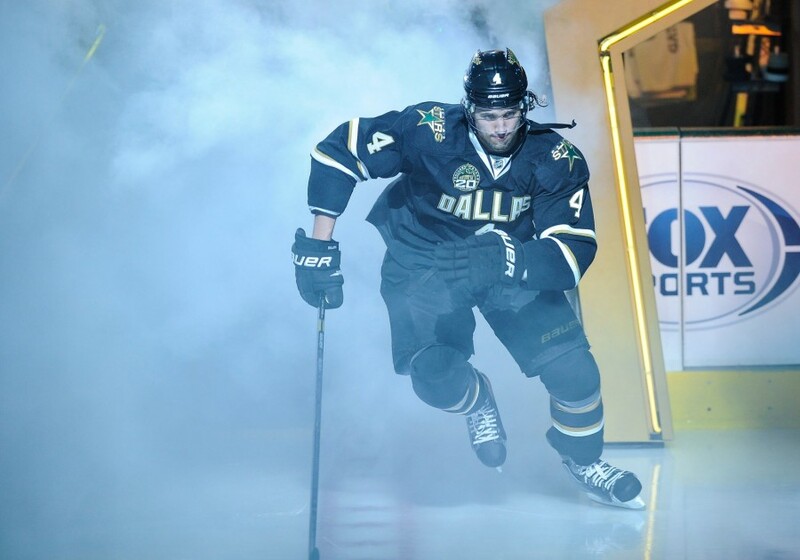 Dillon unsuccessfully began the last year with the Stars organization. In his first 20 games of the season, the defenseman earned just one point and registered a minus-2 rating. These sub-par statistics played a major role in him being dealt to the Sharks before his 21st game of the year. He did not improve under San Jose’s new system and ended the year with a horrific 40.8 percent goals-for percentage, despite his positive corsi numbers. One reason for this outcome is his outrageously unlucky PDO. By the end of the regular season, Dillon had a PDO of 96.9—worse than both Patrick Marleau and Matt Nieto. It is apparent that the bounces did not go in No. 4’s favor. He was also partnered with other defensemen that were struggling defensively throughout the year. His primary linemates were either Justin Braun, Brent Burns or Mirco Mueller, all of whom are currently working for a bounce-back campaign defensively. Because of the way San Jose’s system works, the young, left-handed defenseman only got to play 17 minutes with Marc-Edouard Vlasic. Dillon never got the opportunity to play with the one man that could save him when luck wasn’t on his side. While his PDO and partners don’t justify the errors he made throughout the year, they definitely impacted his performance on the stats sheet. His new position with the team will certainly help him recover from last year’s forgettable campaign. The acquisition of Paul Martin will almost certainly push Dillon down to the third pair. While this may be viewed as a demotion, the move will help both him and the team. As a bottom-paring man, he will see reduced ice time, better zone starts and weaker competition. This will grant the developing blueliner an extra second to make the correct decision with the puck and will minimize any risk that comes with him making a mistake. Dillon’s PDO should increase as well, unless he is the most snakebitten man on Earth. This equates to him earning more points and a significantly higher goals-for marker compared to last year. The one downside of playing on the bottom pair is that he will not get a very skilled or developed partner. The No. 6 man has yet to be decided, but whether it’s the young Mueller or the right-handed Tennyson, Dillon will not play with a high-caliber, top-four man that can bail him out of mistakes or can suppress shot attempts. The partner issue is why Dillon will suffer a reduced corsi and stay below zero in the plus/minus category. It will not necessarily be because of him, but rather because he will not get the support he needs to succeed in those areas of the game. The former Star is projected to be a fantastic top-four man, but he is not there yet. Some time acting as his club’s fifth defenseman will work wonders for his development and confidence. He will shine in time.